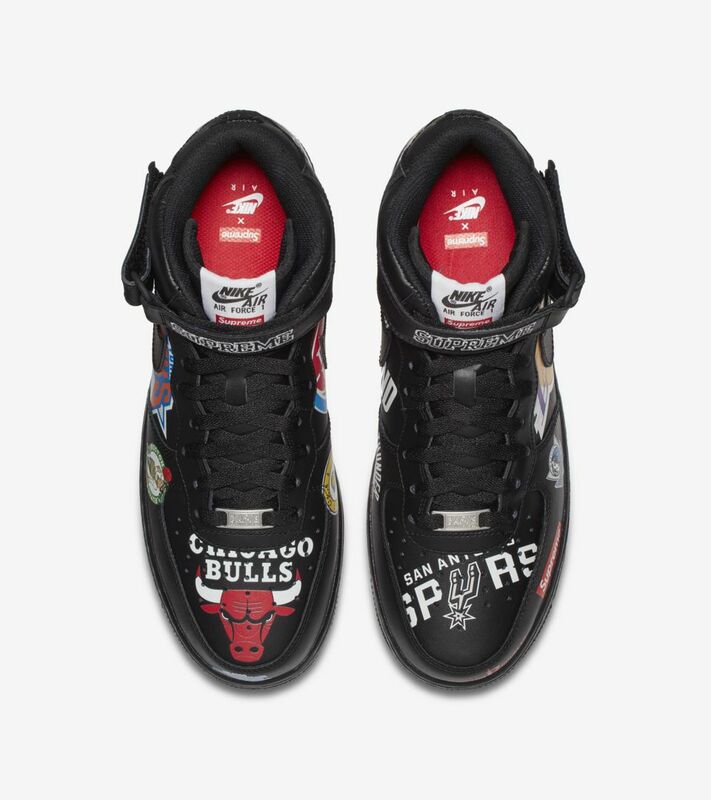 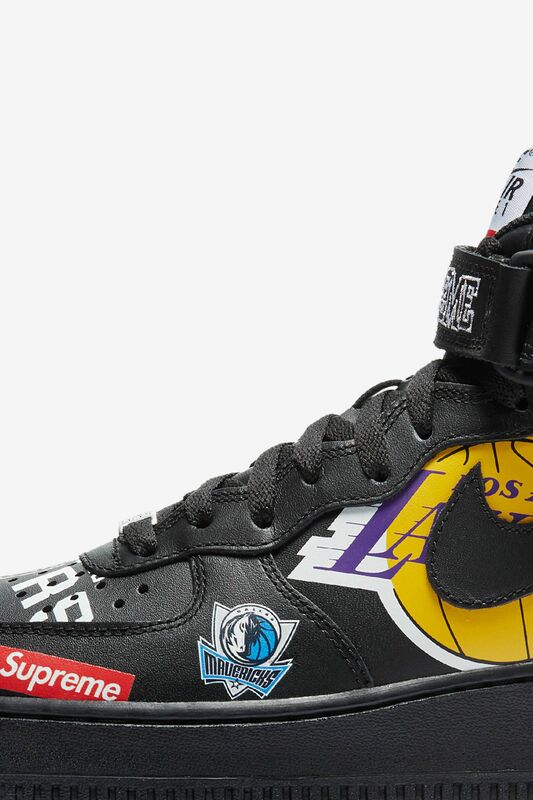 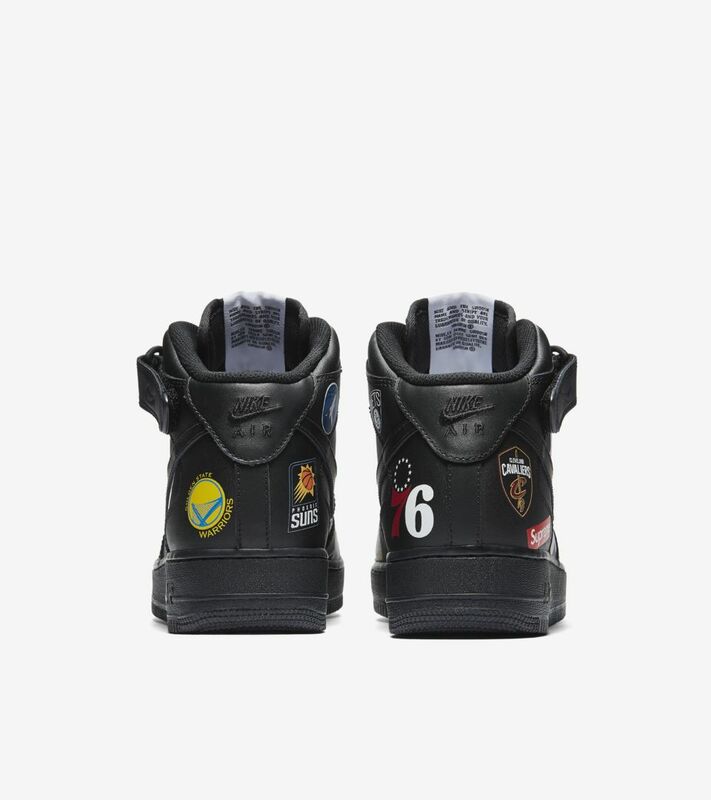 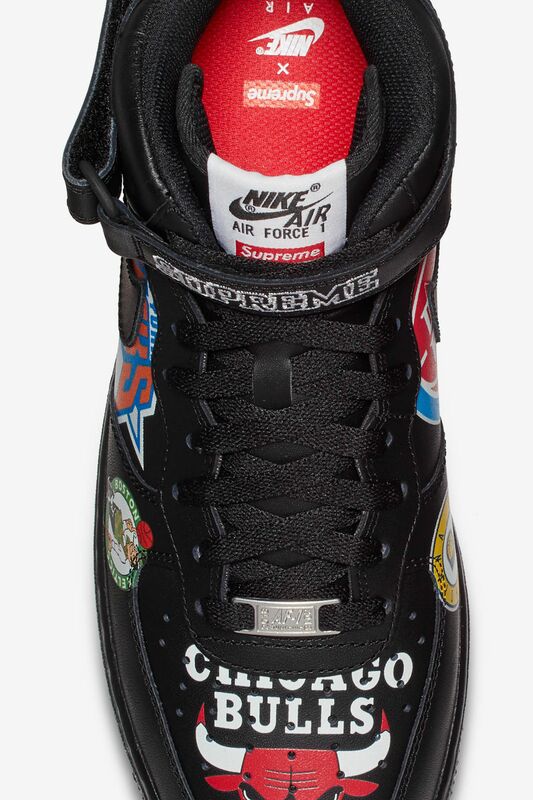 Nike, the NBA and Supreme team up to honor basketball’s greatest squads. 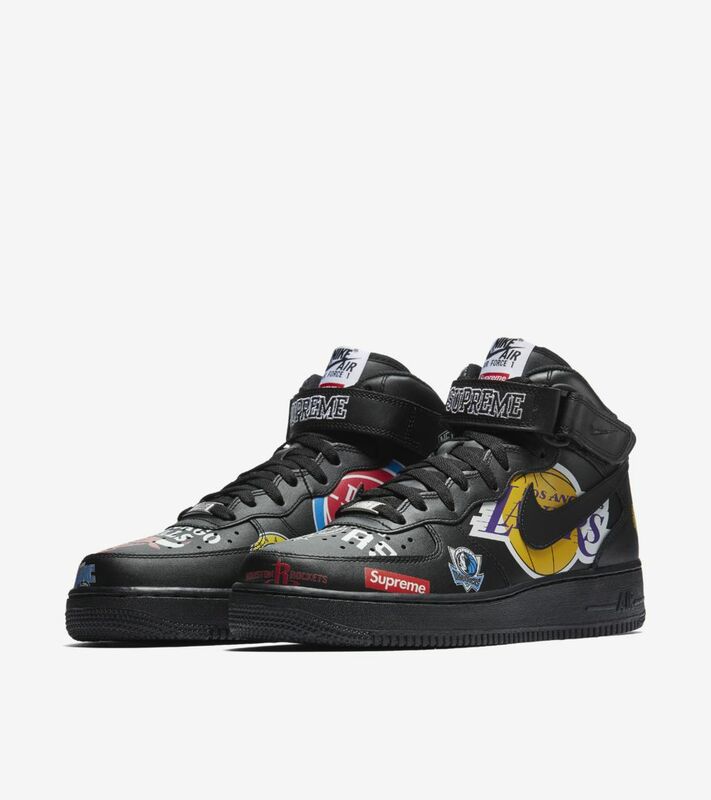 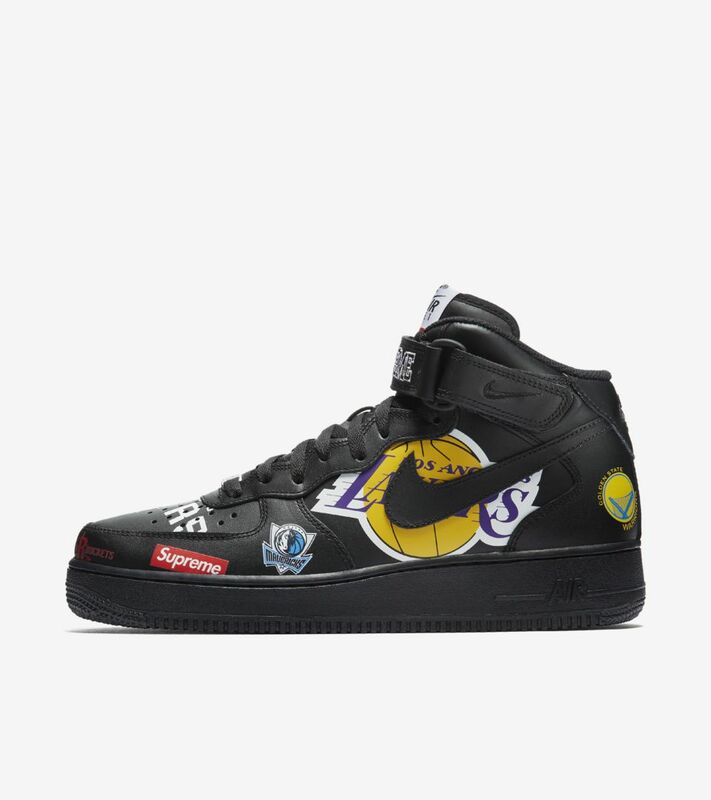 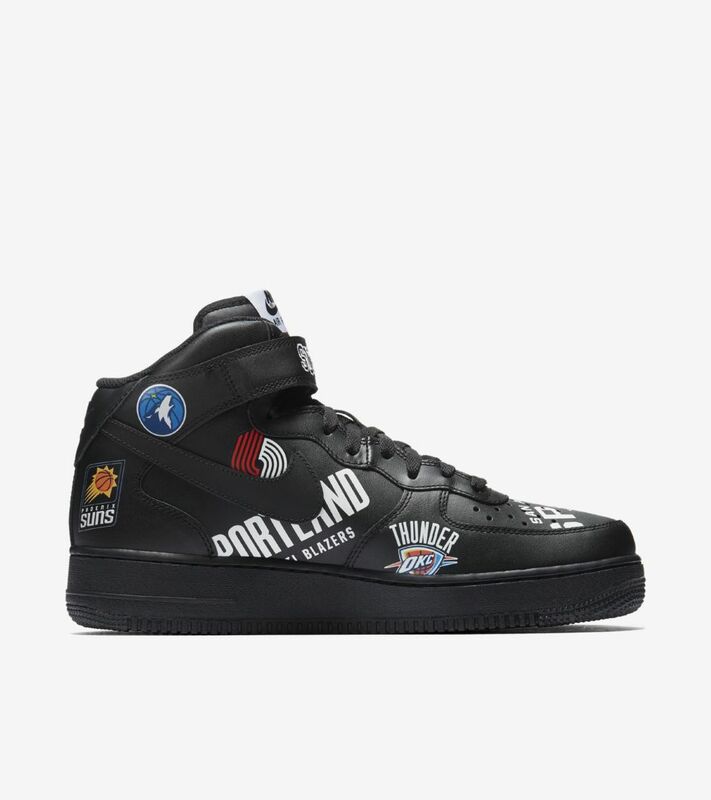 The Nike Air Force 1 Mid x Supreme NBA pushes hardwood culture to the limit with a black colorway loaded with the league’s legendary logos. 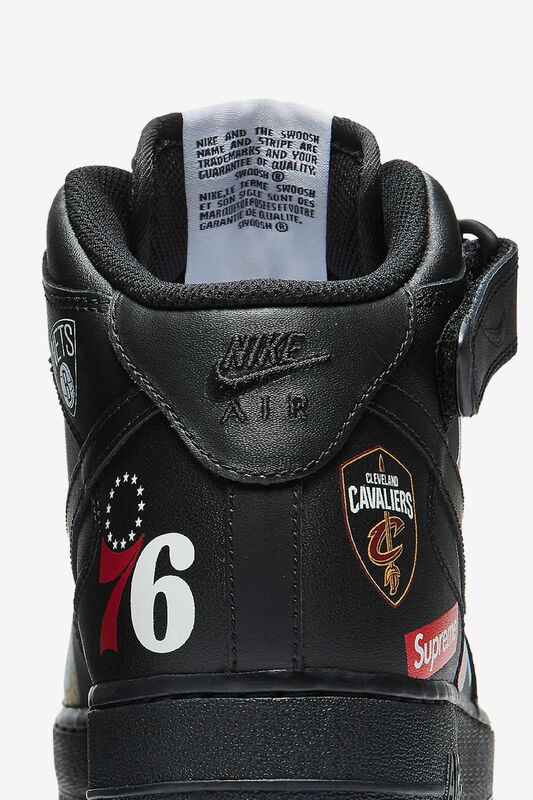 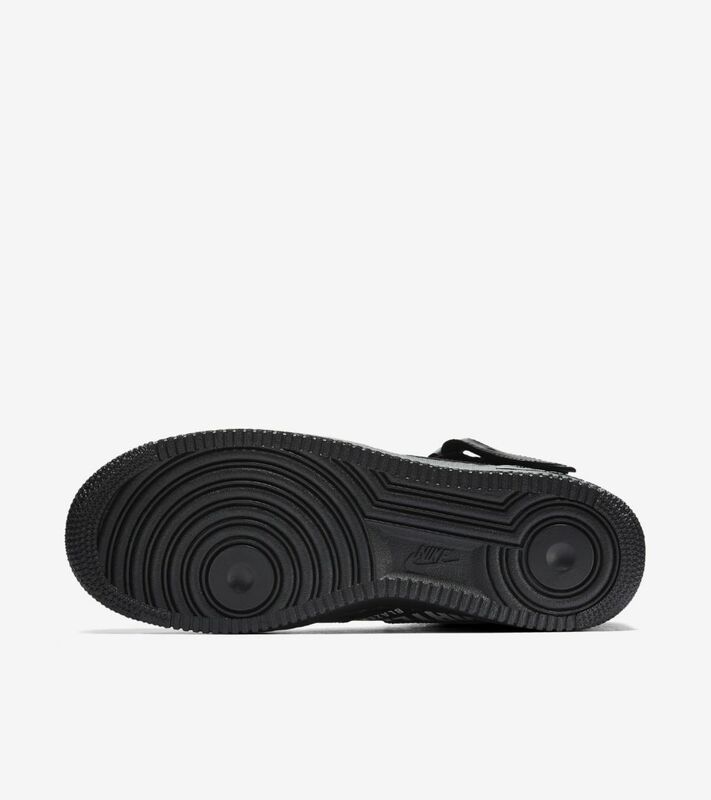 Premium leather and an embroidered strap make this iconic silhouette ready to rep the game anytime, anywhere.